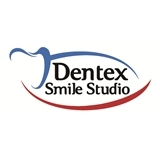 Dentex Smile Studio (Morristown) - Book Appointment Online! Dentex Smile Studio provides cosmetic, restorative and general dentistry, with special care to each individual's needs and desires. We provide expert care for the entire family. Our goal is to give you a thousand reasons to smile.